Windows 8 is still pre-release version, but you can install and test this new Microsoft OS on your PC or you can install this OS on VMware or on virtual Box as a VM. And you can test this new OS. In this tutorial I will show you how to install windows 8 on oracle Virtual Box, you can follow same step for install on real Machine. For PC you need same above minimum hardware requirements. Installation of windows 8 on virtual box is very simple and straight forward almost same like windows 7. 1. Start the above virtual machine and windows 8 loading starts. In real PC it will ask you from boot from installation media (DVD). And same windows appear. 2. Window 8 setup will ask you for select you language select one and click on next. 3. Click on install now for start installation if you have already installed windows 8 you can repair you OS by repairing button on this screen. 4. Enter your windows 8 Product key. 5. Accept the license terms and click next. 6. If you running windows 7 click on upgrade, you want to install new windows 8 then click on custom. 7. Select the drive where you want to install windows 8. I have unallocated space therefore I first create logical drive by clicking on new. 8. After creating new partition for windows 8, a new system reserved partition is created automatically for system used. Click on next. 9. After this setup starts copy and installing windows 8. Wait for completion. 10. After completion your PC will reboot and after restart personalize screen is appeared type the system name and click on next. 11. Select your require setting as I selected express settings. 12. 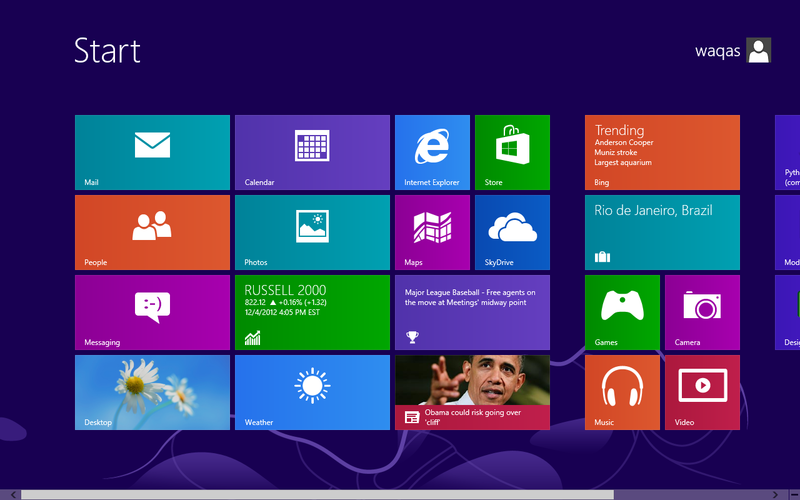 Windows 8 startup view is change a lot. You can check your messaging, emails, news etc. by single click. For this it requires internet connection and your email ID. Type email address and click next. 13. Create a user and provide password. 14. Windows start loading desktop and startup menu for first use. 15. Windows 8 is ready for use.